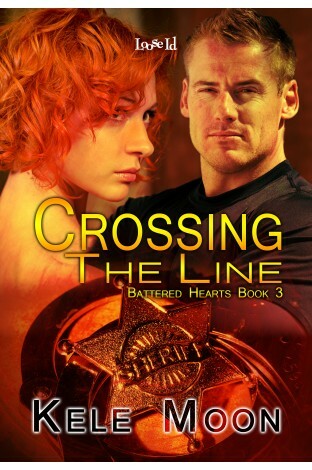 Even if you have not been reading the Battered Hearts Series by Kele Moon you will find this book is so well written it stands alone on its own merit. This series focuses on MMA fighters and their personal lives. This goes beyond the current events affecting their lives and their fighting. These stories encompass their entire lives and the reasons why they have ended on the path to fighting and controlling their anger. This particular book focuses on Wyatt and Tabitha, who have been married for thirteen years, yet lived as husband and wife for only 4 days. Tabitha’s sudden and unexplained departure from their town has haunted Wyatt all these years. All he had was a letter from Tabitha with the request that he allow her to move on while knowing that she would love him for the rest of her life. This story deals with some painful issues that will amaze and instruct you about what you know of family commitments, love, and the sacrifices you may be willing to make in order to protect your loved ones. Kele Moon is an established author with a unique and brilliant writing style. She has a way to describe emotions that is heartfelt. The characters in this series are all connected either by blood, love, or simply because they live in a small town where everyone is aware of their neighbors’ plight. This is the main reason why you will feel deeply connected to these characters as you read their stories. The characters are like a stack of dominos that have been equally spaced from each other, yet close enough to be affected … if you push one, all the others are disturbed. I wholeheartedly recommend this series as an entertaining and moving set of books you will not soon forget.